Lecture notes for TUT Finlandia MAT-62756 Graph Theory course. They contain an introduction to basic concepts and results in graph theory, with a special emphasis put on the network-theoretic circuit-cut dualism. 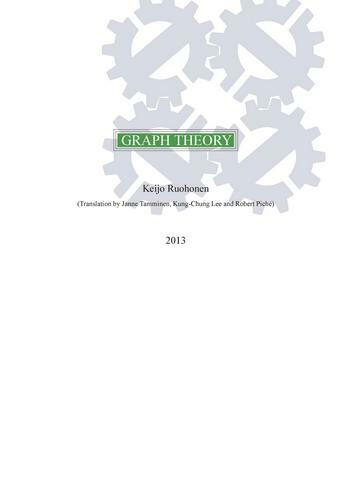 Keijo Ruohonen wrote:These lecture notes were translated from the Finnish lecture notes for the TUT course on graph theory. The laborious bulk translation was taken care of by the students Janne Tamminen (TUT) and Kung-Chung Lee (visiting from the University of British Columbia). Most of the material was then checked by professor Robert Piché. I want to thank the translation team for their effort. The notes form the base text for the course "MAT-62756 Graph Theory". They contain an introduction to basic concepts and results in graph theory, with a special emphasis put on the network-theoretic circuit-cut dualism. In many ways a model was the elegant and careful presentation of SWAMY & THULASIRAMAN, especially the older (and better) edition. There are of course many modern text-books with similar contents, e.g. the popular GROSS & YELLEN. 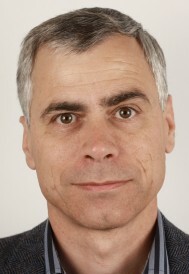 Robert Piché is a Professor in the Department of Automation Science and Engineering at Tampere University of Technology.